Sean Lang has built his passion for history on several key experiences, both in terms of teaching and learning. On a clear November night in Berlin, a week after the Wall came down in November 1989, I discovered for the first time the authentic feel of history. 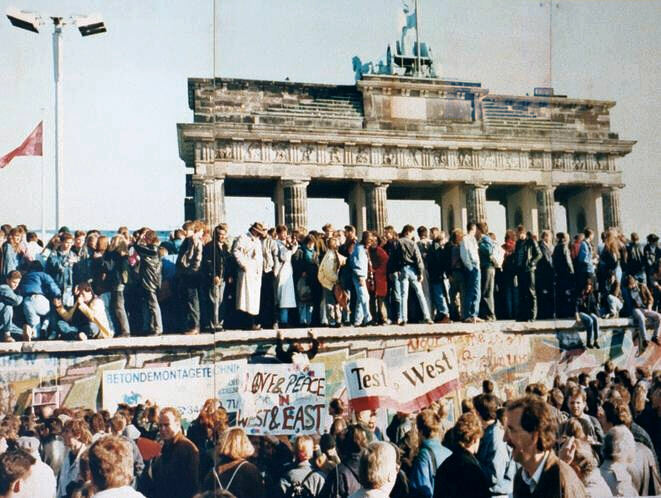 I had run into some young people working for what was then still the EEC at the top of the television tower in East Berlin, and when we all came down our steps seemed to take us naturally towards the Brandenburg Gate. There was still a barrier to keep you back from the gate itself and it was lit by security lighting, but otherwise the whole area was deserted, silent and very still, just the distant put-put-put of a Trabant slowly receding into the distance. There was a ghost-like feel to the Wall that night: its sinister and brutal past seemed unreal in the stillness. A world was coming to its end and we knew it. We believed – we knew – that the future would be very different. And indeed, two years later where we had stood was a busy thoroughfare and I went through it on a number 100 bus. But that night at the Wall stays with me, like Sir Edward Grey watching the lights going out in Whitehall. Definitely a moment of departure. 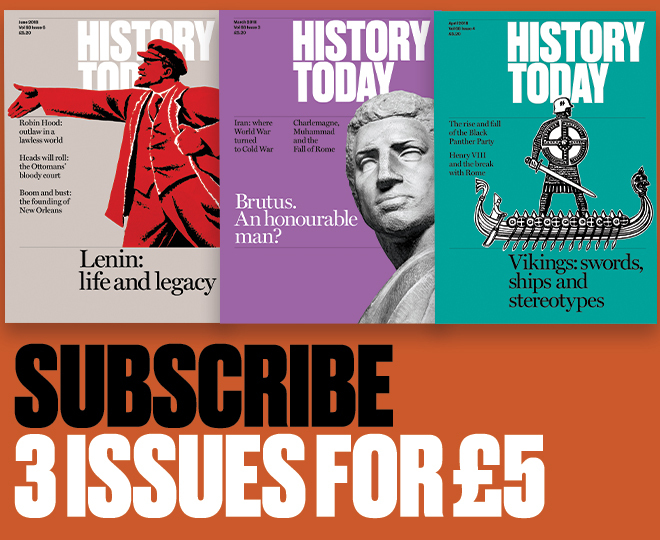 But it was one of many, for of all the advantages that history teachers enjoy over academic historians, the most important is that history forever re-invents itself in unexpected ways in the classroom. There is no better way to learn than to teach, and I have learned so much history through teaching it that I often wonder how on earth I scrabbled enough together to get a degree. I have taught about the Ottoman Turks and the Scramble for Africa, Chartists and Bolsheviks, Katharine of Aragon, Augustus Caesar, Ulrich Zwingli and Andrew Jackson. Small wonder that I hesitate when people ask – as they always do – ‘What period do you specialise in?’ Mine must have been the first generation to come to history through television, and I owe a lot to the 1960s history programme Chronicle, as well as adventures like The Last of the Mohicans and The Flashing Blade. We lived down the river from Hampton Court which I loved: its grandeur is on an appealingly human scale. When I began my teaching career, as an English assistant in Versailles, I found the locals immensely proud of their château (and correspondingly dismissive of anyone else’s) but I never detected the warmth and affection that Hampton Court still arouses. Of course there were books. I devoured the historical adventures of Rosemary Sutcliff, Cynthia Harnett and Ronald Welch, and avidly collected all the Ladybird history books I could find: I still ‘see’ moments of history through their illustrations. A step up from them, towards ‘real’ history, were the books of R.J. Unstead. Unstead’s great strength was the way he presented ordinary life in the past. He came in for a lot of stick when his books passed out of fashion in the 1970s, much of it desperately unfair, and he died without being able to defend himself. 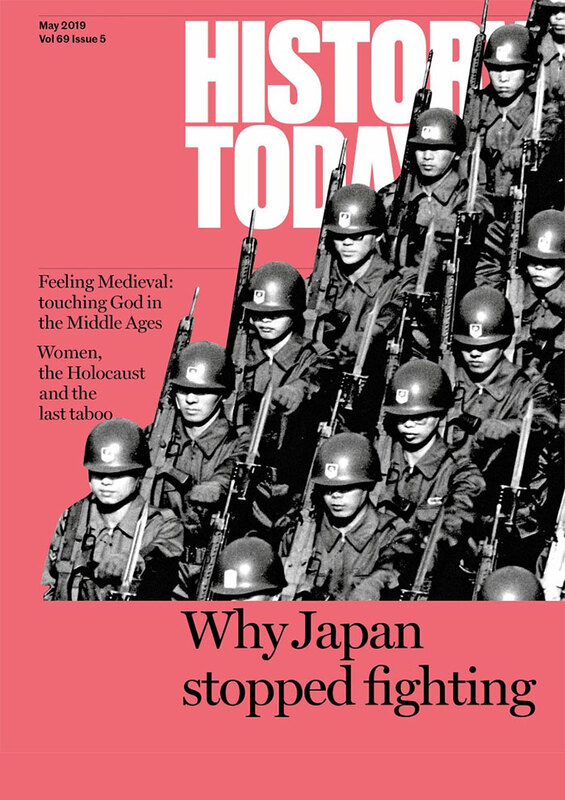 I was glad when I became an education lecturer to have the opportunity to write an article in Teaching History to set the record straight. Children like their colours bright, which is why Romans, knights in armour, cavaliers and redcoats tend to go down well with them. But at A level and university I found that history was also something to argue about, sometimes with intense passion. My ‘home’ field was the age of Pitt and Fox – O level, A level and degree – but at Oxford my curiosity was aroused by the Tudor period which was proving a veritable hot potato: Christopher Haigh and Jennifer Loach were busy demolishing the received wisdom on Mary Tudor and the English Reformation and people were getting very upset about it. It was a revelation to discover how history matters to people, but I discovered just how much it can matter the day I left Oxford and the IRA exploded nail bombs in two London parks. I called in on a nurse friend who had come straight from treating the victims in the operating theatre. I knew then that my history had to matter, if only to explain why those people had died. Which made me look at teaching with a new eye. When I left school, teaching was what you did if all else failed, but my PGCE course brought me into contact with the phenomenon that was John Fines. Most history teachers owe a debt to John Fines, either because of his pamphlet on Educational Objectives for the Study of History (not one of his snappier titles, as John would happily concede) or his inspirational book The Drama of History, but for me the inspiration came simply from watching him teach. With a simple handout with a few facts and figures on it he brought the entire railway speculation of the 1840s to life with a class of thirteen year-olds, and went on to get a class of eleven year-olds stocking a Viking ship with total conviction. John showed that it was possible to bring the past to life while always remaining faithful to history. It’s not an easy standard to keep to, but it’s one which should be written above every teacher’s door. And every lecturer’s too. Mind you, you had to know what you were doing with John: if you allowed him to take you to dinner you risked ending up, as I did, first on the Council, and then Honorary Secretary, of the Historical Association. The politics of professional history was a new departure and for me one of the most important. When the National Curriculum was introduced the history proposals aroused huge controversy. I attended two memorable conferences at Ruskin College, Oxford, which were packed out not just with teachers but with ordinary people who cared passionately about the history their children were going to learn. This was history that mattered, but to have any sort of influence over it the Historical Association needed to be much sharper and media-savvy, and that meant a major internal overhaul. It was a long, complex and often painful process, but at the end of it the Historical Association was a force to be reckoned with. I was very proud to be part of it. At the same time I discovered the work being carried out by the Council of Europe to support history teachers and to combat the stereotypes and prejudice history can so easily give rise to. Council of Europe conferences allowed me not just to exchange ideas and experiences, but also to revise much of my own thinking. It simply does not make sense to maintain such a strict divide between ‘national’ and ‘European’ history: it would have made no sense to the merchants of the Hansa who operated across the Baltic and North Sea from Novgorod to Kings Lynn, any more than it would have done to the Romans or the humanists. With the support of the Council of Europe I organised a student role-play recreating the Paris Peace Conference of 1919 with participants from six different countries. My own students were taken aback by the strong nationalism they encountered in the Bulgarian students. ‘But they’re like us, they listen to the same music, they wear the same clothes: how can they say those things?’ one of them asked me. A point of departure for her, perhaps. History continues to re-invent itself. I met up with an old friend who had gone into academia and written a very fine account of the history of midwifery in Sheffield, and this reawakened my interest in social history which had lain dormant since Unstead days. Perhaps A level Whigs and Tories were beginning to pall, but her work inspired me to try finally to be the historian I had always said I wanted to be. It is not easy to make a change mid-career but this latest point of departure is into research, looking at the steps the British state took in nineteenth-century India to combat the problem of maternal mortality among the Indian population. The medical theme links back to all that voluntary work I used to do at school, visiting the mental hospitals near Epsom; India, because I taught about it for a time and caught the bug and because, like so many people, my family were out there under the Raj. In that sense I suppose history brings me full circle. And in another sense too. Last night my daughters asked me to tell them about the Berlin Wall (last week it was Oliver Cromwell). My thoughts inevitably went back to that night and the new world which did indeed follow it, but which never quite lived up to the promise we had sensed. But perhaps in time the story will prove a point of departure for them too, along paths as varied and unpredictable as those that history has opened up for me.